"I almost never make hors d'oeuvres; cocktail food at my house is little silver bowls with salted cashews, ripe cherry tomatoes, vinegary caper berries or salt potato chips. It's elegant, it's delicious, and frankly, no one really wants to fill up on pigs in a blankets when you've worked so hard on the dinner." 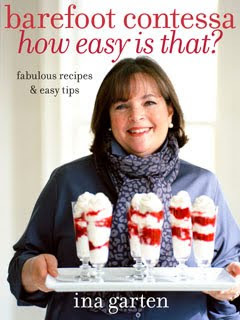 I couldn't agree with her advice any more -- and not just for Thanksgiving, but for any meal! Personally, I always have some nuts, dried fruits and cheese in the house. When presented in a pretty way, these pantry staples can make a deceivingly elegant hors d'oeuvres spread. For example, the other weekend I cut up an apple, sliced some pieces of sharp chedder cheese, quartered some dried figs and arranged them on a cutting board with some almonds -- a seemingly special spread was really just what I had on-hand. Of course, a nice cheese and some crackers or sliced baguette is always a welcome treat.